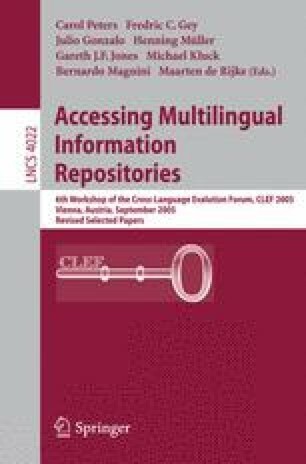 This paper describes the development of a question answering system for mono-lingual and cross-lingual tasks for English and German. We developed the question answering system from a document and retrieval perspective. The system consists of question and answering taxonomies, named entity recognition, term expansion modules, a multi-lingual search engine based on Lucene and a passage extraction and ranking component. The overall architecture and heuristics applied during development are described. We discuss the results at CLEF 2005 and show potential future work.